Audi hosted the annual general meeting at its base in Ingolstadt, Germany back in May and during the coming together new plans for the luxury brand were announced. 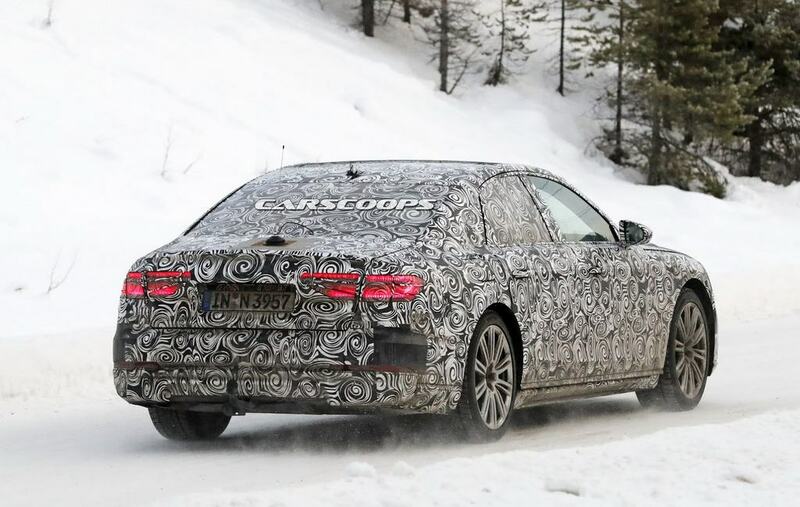 The company’s CEO Rupert Stadler officially stated a bombshell that the new generation A8 flagship luxury sedan will be introduced next year. The new Audi A8 luxury limousine is expected to be based on the Prologue concept displayed at Auto Expo 2016 and will likely be the first dedicated model to feature piloted driving as the traffic-jam pilot system can autonomously drive at speeds of up to 60 kmph temporarily. 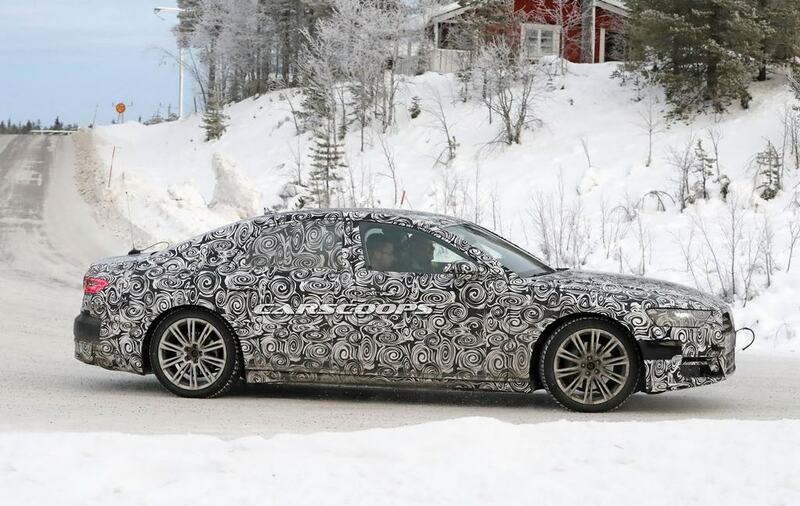 It has been spied testing on cold weather in Sweden and boasted a sleeker bodywork. 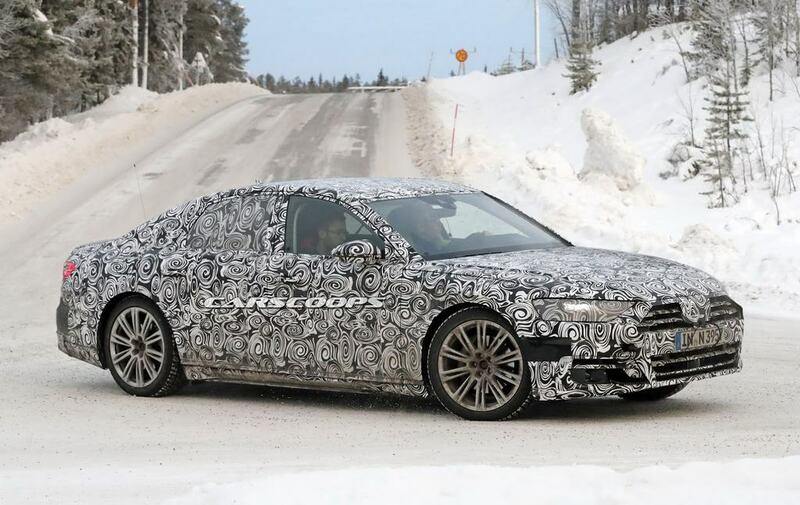 The 2017 Audi A8 has been speculated to feature a new 3.0-litre TDI engine making 286 hp and 620 Nm whilst being mated to a revised eight-speed auto ‘box and will come with standard all-wheel drive system across all models. The W12 engine is expected to displace 6.0 litres instead of the existing 6.3L to produce 585 hp and 800 Nm of peak torque. The range-topping S8 version will stick with the 4.0-litre, twin-turbo, V8 developing power output between 520 and 580 horses. Beneath the sharper body panels lies the same MLB Evo platform, that underpins new-gen Q7 and Bentley Bentayga, with lighter construction. It will also give raise to compatibility with plug-in and hybrid powertrains. It will be equipped with Audi’s latest infotainment, driver assistance and safety technologies with advancements in autonomous driving. It is more likely to be unveiled at the 2017 Frankfurt Motor Show next September before going on sale the following year. 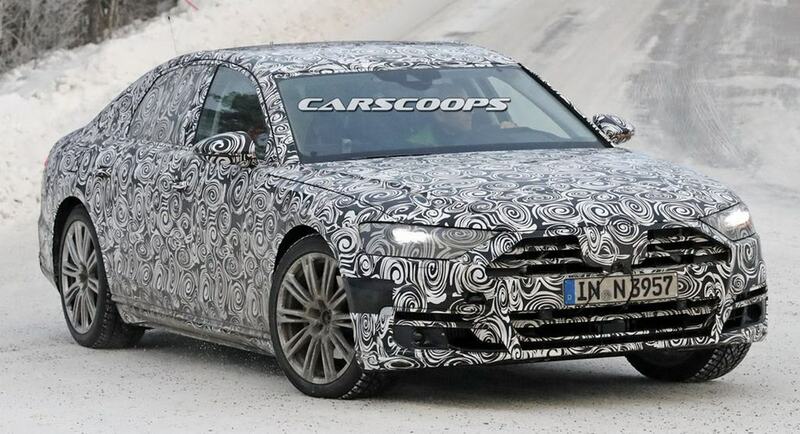 The fourth-generation Audi A8 will compete against the might of Mercedes-Benz S-Class and BMW 7-Series. Both of its rivals have been upgraded and on the top of their game. In order to get back its lost glory, the upcoming 2018 A8 should be something really special.